Another week has come and gone which can only mean one thing... time for Friday Favorites! Drive-in movie laundry basket chair. I saw Andrea (from Momfessionals) post a picture similar to this of her kids the other day and it got me thinking. 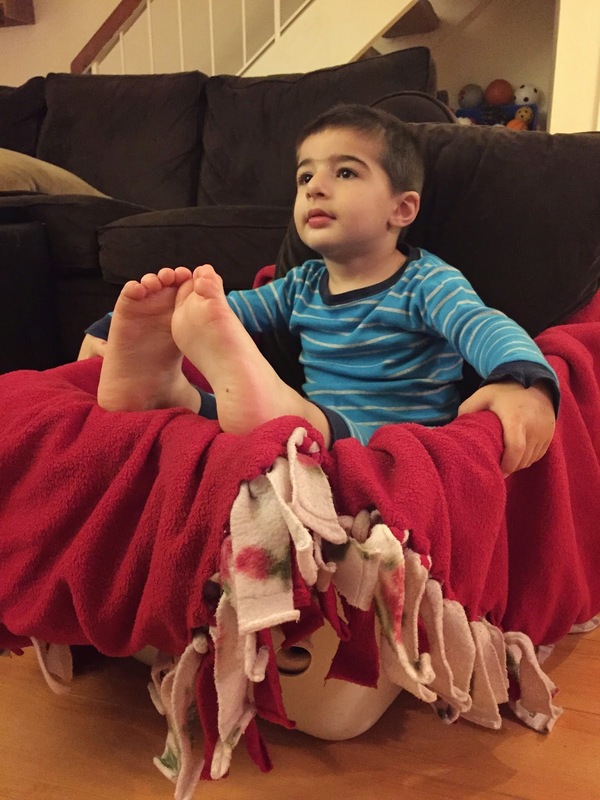 So yesterday afternoon, when we were watching Planes : Fire and Rescue (Mason's FAVORITE movie EVER), I set up a little drive-in movie laundry basket chair for him and he LOVED it. He sat in there for a good 20 minutes, got out to walk around, and then went back in for the rest of the movie. I sold a bunch of stuff to thredUP and had a credit so I went shopping last night. I found a bunch [read 9 pairs!] of shorts and a swim suit for Mason for the summer and paid $0 for them! Nothing better than free clothes! I saw this on Instagram last night and LOVE the sparkles over the color. Definitely might have to get me one of those! A couple weeks ago I talked about the goals I have for myself for 2015. One of the goals I had for myself was to check-in every once in a while, to keep myself accountable. It's officially the last Friday of the month (say what?? didn't January just start??) so I wanted to do a little check-in. - take Mason to at least one new park a month and at least one park a week - yep! - continue Mason's swim lessons - yep! and he's doing so much better with the back float that he HATED so much. - date my husband at least once a month - yep! January date. - decrease screen time - not so much. - budget - as I said... I'm HORRIBLE at this. and I still haven't done it. Told you I am horrible. - come up with a weekly or monthly rotation of meals and stick to it - since we're doing the whole30 right now, we do have a meal schedule, but before that, we didn't. I hope to continue after we finish though (mid Feb). - set up a cleaning schedule and stick to it - not started - still need to work on. - spring (or more winter?) clean - kind of. still in progress. ordered a thredUP bag to get this going. - send more snail mail - yep! yesterday. - re-do pictures in house and get some canvases printed and hung - got some pictures developed but haven't had a chance to hang them yet. - go on a family walk at least once a week - not yet. we have gone to some new places and walked around but not quite the "walk after dinner" I had hoped for. 5 out of 12 isn't bad for it being the first month of the year! Linking up with these lovely ladies. Great job on the goals... It's only January! 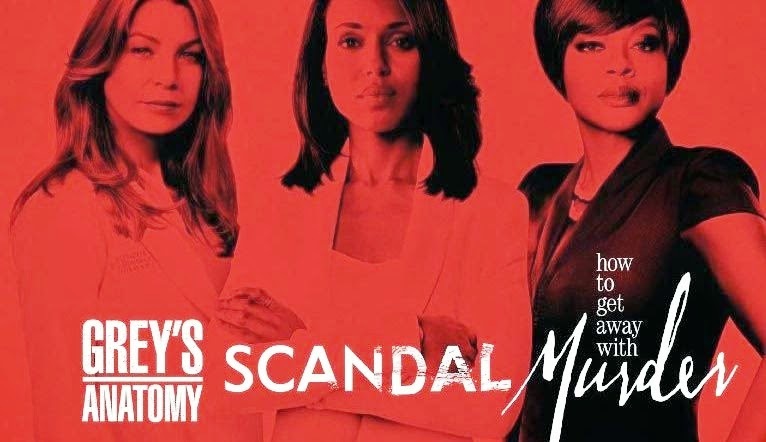 I didn't stay up to watch "How to get away with murder" but plan to watch today! With selling the clothes, can you just get the money instead of using it to buy other stuff? Have a great weekend! You're making great progress on your goals. I admit mine need some work, too! Happy Friday! I can't wait to get into TGIT during nap time. I can't stay up past 8:30 so no way was I going to survive everything! And that laundry basket fire truck? genius. So so so cute! Not bad at all! I still HATE the budget. that nail polish is so fun and my girls used to always play in the laundry baskets to. Usually they pretended they were puppies while doing it though. Whew, that was random. Good work on your goals! Out of my 8, I've only really worked on 3. Womp, womp. Hoping February will be better! Love that idea of the laundry basket seat for watching movies. Reese used to love getting pushed around in that when she was little, I'll have to try that out. That thredUp picture reminded me that I need to get on that. Thanks! :) Happy weekend! Yea, what's this ThreadUp thingie? The drive in movie idea is so cute. I need to try that. Maybe I can actually get Marcus to sit still through an entire movie. If Baby M2 is a girl I'm totally hitting up ThreadUP. You're the second person to mention this, and I'm not sure how I haven't heard about it sooner! Three of my favorite shows! So glad tonight is Thursday and these will be back on!! And Mason’s Drive-in movie laundry basket chair is awesome!! I’ve never ordered from ThredUp but have heard about it. I will have to look into it. Do they give you good prices on the stuff you sell? Aww... thanks for sharing my IG post!!! I'm so glad that we've connected:) I'm going to have to steal that laundry basket idea for Kane. He's starting to have a much longer attention span now and enjoys watching shows. Mason looks so content setting there. And yay for the Thred Up win!! !